My kids always look forward to their stockings on Christmas morning. They never know what little things will be in there for them. The challenge is always finding things that aren’t plastic junk. They get far too much of that from other sources. Homemade or natural stocking stuffers are a very interesting option. Rocks, minerals and gemstones – these are a favorite with my kids. I often find interesting ones on eBay . No coal – the kids aren’t that bad. Coupons – for time with parents, skip a chore, etc. While they aren’t natural or homemade, I also like finding little science oriented kits or other things to indulge my kids’ natural curiosity. My husband has trouble keeping to a budget when he visits American Science & Surplus – and that’s not a paid or affiliate link. Seriously, he just loves that site. If it’s my affiliate link you want, they have an Amazon storefront , but I don’t know how it compares to the main site. I never know what he’s going to find there, but it’s always pretty interesting. It appeals well to our geeky side. Published by Stephanie, in Green Gift Ideas. 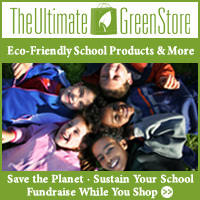 Tagged with christmas, eco friendly gifts, holidays, stocking stuffers.